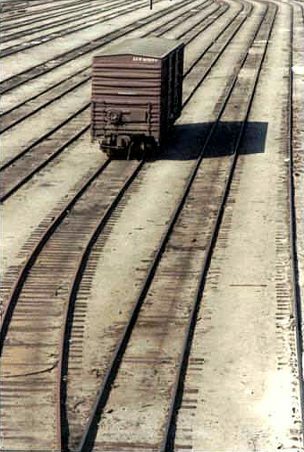 Solitary freight car, late afternoon, Southern Pacific freight yard near Downtown Los Angeles, late 1970s. Southern Pacific is gone. This freight yard is gone.